The UFC will head back to Brazil on Wednesday night for the third FOX Sports 1 fight card, with two light heavyweights looking to get in the title picture battling in the main event. It's been over eight years since Glover Teixeira suffered a loss, and he doesn't want to start now when he faces former Ultimate Fighter winner Ryan Bader in a pivotal matchup at 205 pounds. Teixeira is likely in line for a title shot with a win, so beating Bader is monumental for his future in the UFC. For Bader this fight means a chance at getting back into the title picture, and knocking off one of the top 205ers in the UFC. Also on the card, Brazilian grappling phenom and former Strikeforce middleweight champion Ronaldo "Jacare" Souza takes on perennial contender Yushin Okami, while Joseph Benavidez and Jussier Formiga look to cement their names atop the UFC flyweight division. In today's fantasy preview, we are going to break down the fights on the main card, and see who is most likely to come out on top and walk away with a victory when the UFC returns to Brazil for UFC Fight Night. 1. 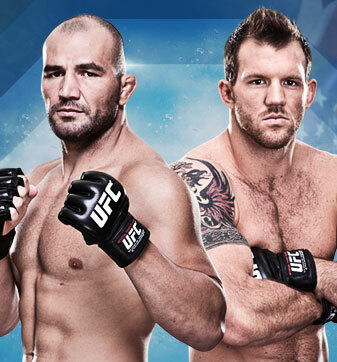 Glover Teixeira is as good as advertised, but make no mistake - Ryan Bader will be his toughest test to date. Teixeira has become the fighter to watch in 2013, and the oddsmakers are on his side as well. He's a whopping -400 favorite, with Bader coming in as the underdog at +300. Thus far in his UFC career, Teixeira has been virtually flawless. He's gone to a decision only once, and has put away his other three opponents in less than two rounds each time. His takedown defense is 100-percent as of now, but he hasn't faced a wrestler like Bader just yet. Bader is a former All-American wrestler who knows how to put anybody down on the mat, and has done so in the majority of his fights. Where Bader has to be careful in this one is in seeing what happens if he can't get the fight to the ground. Teixeira is a tremendous striker, landing an incredible 6.48 significant strikes per minute at nearly 47 percent accuracy. If his takedown defense can keep Bader away early, Teixeira should be able to light him up on the feet. Look for Teixeira to pepper Bader with punches, and try to finish this fight inside the first three rounds. 2. Two of the best ground technicians in the UFC will face off Wednesday when Yushin Okami heads to Brazil to face multi-time grappling champion Ronaldo "Jacare" Souza. On paper, this fight has all the makings of a mat classic, with Okami having some of the most stifling wrestling in the entire UFC, while Jacare has more Brazilian Jiu-Jitsu trophies on his mantle at home than virtually any fighter competing in MMA today. What might be most shocking about the fight is the fact that Jacare comes in as a heavy favorite at -240 odds over Okami at +190. Jacare is a former Strikeforce champion, but Okami has been in or around the top five in the UFC's middleweight division for the better part of the last six years. Okami's style could most easily be described as suffocating, because if he gets you down on the ground, there's not much chance you're getting up. Now given Jacare's grappling acumen, that might be just where he wants this fight, but Okami is no slouch in the jiu-jitsu department either. It's not likely Okami or Jacare will win any kickboxing matches any time soon, but Okami's ability to work within the clinch and grind opponents down to a nub can serve him well in this fight. Okami defends 84 percent of takedowns, and the only fighter that's ever really moved him around in terms of wrestling was in his loss to Chael Sonnen. Okami will look to strike with Jacare early, and then clinch with him to start sucking the air out of the Brazilian's lungs. By the time Okami goes for a takedown, the submission game will be a little out of reach for Jacare. Okami is an upset pick worth choosing on this card, but he'll probably need all 15 minutes to get the job done. 3. Joseph Benavidez will walk into Brazil as one of the biggest favorites on the card, and he's earned that distinction. Currently, oddsmakers have Benavidez favored at -475 over his opponent Jussier Formiga at +380, and this is one time they are right on the money. Formiga is a tough customer at 125 pounds, and while his UFC career got off to a rough start in a loss to John Dodson, he came back strong with a win over Chris Cariaso in his last trip to the Octagon. The only problem now is that he's running into the fighter who has clearly defined himself as the top flyweight in the world not named Demetrious Johnson. Benavidez is a powerhouse at 125 pounds who combines his wrestling and striking in perfect harmony. He is lightning fast as well, and he's got a nasty body shot that could cripple Formiga within the first two rounds if he's not careful. Benavidez is charging back to another title shot, and Formiga might just be the unfortunate road bump he has to roll over on his way back to another fight with Johnson. Benavidez should get the job done here, and if his striking is on point like it's been in his last two fights, a finish within the first 10 minutes looks pretty strong. 4. Francisco Trinaldo is a name to keep an eye on with this card and future shows in the UFC. Trinaldo is a tremendously strong grappler who can put any opponent away on the ground with his overwhelming power shots and a devastating submission game as well. In this fight he draws UFC newcomer Piotr Hallmann, who comes into this one with a well-rounded Muay Thai kickboxing arsenal as his primary weapon and likes to work within the clinch for his striking. The problem with the clinch in a fight like this is that Trinaldo is just begging for the moment he can control Hallmann, and then put him down on the mat. Trinaldo's lone loss in the UFC comes to possibly the biggest lightweight in the division in Gleison Tibau, but outside of that he's looked great in every other bout. Trinaldo should be able to drag this one to the mat early, and he’ll look to lock on a submission. The arm triangle choke has been his favorite of late, and if Hallmann can't stay off his back, he might just be Trinaldo's latest attempt at taking home a Submission of the Night bonus.